It takes some effort to disentangle your finances from another person. If you’ve done this before, then you are probably nodding your head. The process of delving into couple’s finances typically takes it’s course of time, depending on how your relationship develops. I tend to take the dive right in approach in love, though I suppose it actually took seven years of marriage to actually have a functioning joint household account (though we opened savings accounts for goals before we were ever married). 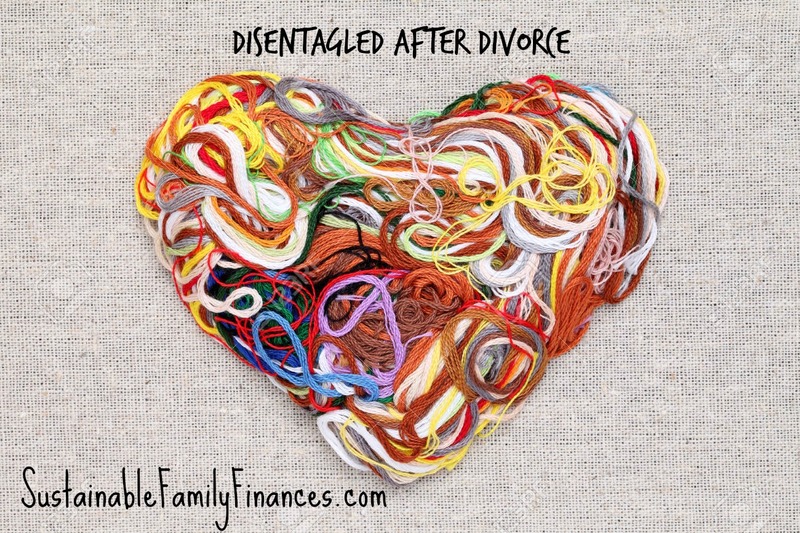 It can take a much greater effort to disentangle your assets after a marriage has ended. My divorce finalized in August, but that is really just the beginning of the disentanglement that comes after divorce. This is exacerbated if you shared businesses and the like with your ex. The task is one of those that has loomed over me and felt like a weight this entire fall. Luckily when I finally set myself to it, it was less of an effort that I feared it might be. It was more of a mental block. I did have to change numerous automated transactions for various mortgages, condo fees, and utilities. Now I’m down to closing a final account to call it done. My lesson here is that the barriers we face in finances are most often in our head and are not financial at all. We make things more difficult than they have to be. What is on your list of financial tasks that you are making harder than they are? This entry was posted in abundance, Divorce, home economics, money honey, Yippie on January 4th, 2016 by Ms. Miel.